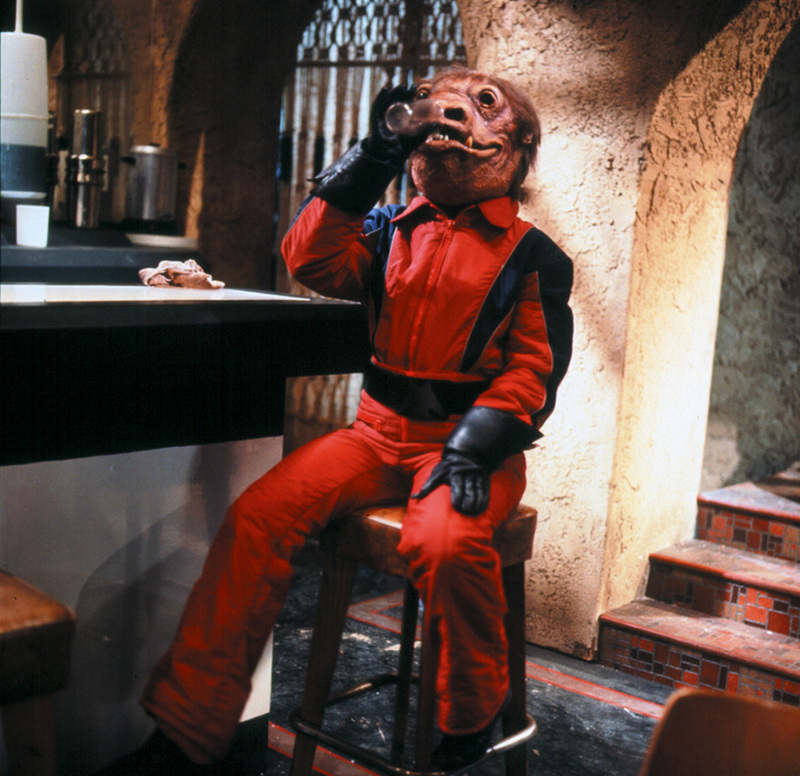 Description: Zutmore is a Snivvian who has a regular seat at the bar in Ackmena’s cantina. Along with his buddy Kelbo, he has borrowed quite a bit of money from Ackmena, who has always been willing to lend it to him. 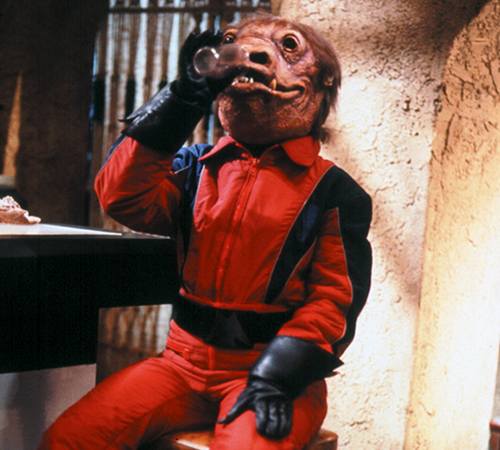 Details: The red jumpsuit outfit Zutmore wears is only seen in The Star Wars Holiday Special. 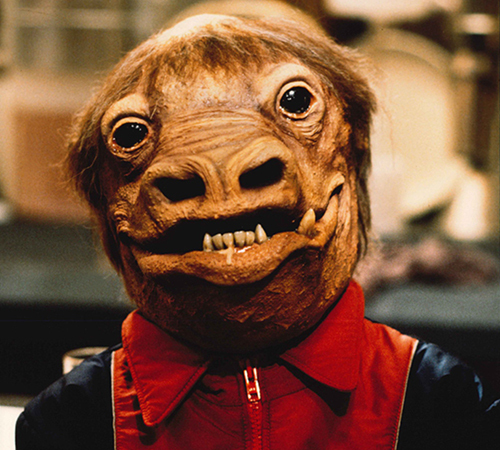 The original Snaggletooth figure was tall with a blue suit, and closer looking to one of the Snivvians seen in A New Hope. 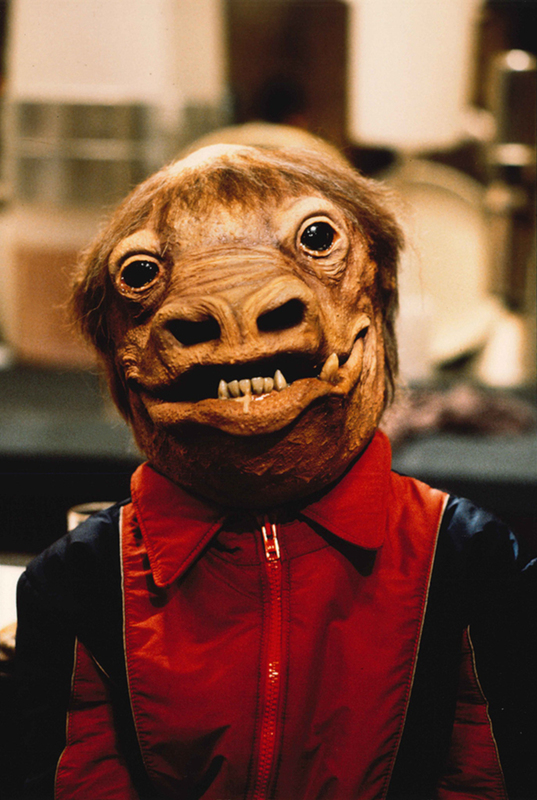 When Kenner produced their revised Snaggletooth figure in 1979, they based it on Zutmore as seen in The Star Wars Holiday Special. Later on in 2001, Hasbro produced a new Snaggletooth figure, this time naming him “Zutton”.